Anti Fed Ed Warriors, we know sometimes we JUST have to speak out. This weekend’s news is a quick recap of my most recent speaking out moments. Warriors, if you missed this CO based broadcast, the topic was all about how the current trend of school violence, student and teacher self-harm, and death are impacting us. There was also much discussion about why kids bully each other, as well as many thoughts on how to positively stop this kind of movement in our nation. If you wish to listen to the entire broadcast, it’s about 4 hours. If you are interested in my portion, you’ll find it near the 2:10:00 time stamp. It ends about the 2:45:30 time stamp. Basically, I hold the federal government, the global push for CBE (Competency Based Education), and, the CCSS Machine at fault for the violence, self-harm, bullying, and, death. Sure, each of these things were present in our nation’s schools BEFORE Common Core (or whatever else your State has re-branded it since ESSA, Every Student Succeeds Act), BUT, Common Core and all the insane amounts of pressure to achieve a ‘perfect score’ has come at a price our families should never have had to pay. On April 5th, I recorded two homemade videos to raise the Warrior’s ire over the global push to indoctrinate our students. The moment which pushed me to record videos? Uncovering a UN (United Nations) created board game to target our youngsters to become better ‘global citizens’. Video #1 is about 30 minutes. Video #2 is near 15 minutes. I will point out that while I’d scheduled a live event on Facebook for the first presentation, the audio to my live feed was shut off. So, in a hurry, I grabbed the cell phone. I also gave a wrong date for the Gates/UN agreement. The correct date was 2004, not 2014. Those ‘hiccups’ aside, the information shared is what truly matters. Warriors, if we simply stop at 2004’s Gates/UN agreement, we are cheating ourselves of some crucial evidence which points out that the global push for CBE and 2030 Agenda (formerly Agenda 21) predates the agreement to have a ‘one world curriculum’. Please, share what’s above. Even the embedded links. The march of ruinous overreach by the UN into the US is surviving everyday we do nothing to stop it. Use what time you would of reading a well researched article of mine and devote it to sharing the priceless information so we, together, can save our nation and her children. Join us tonight from 9 pm to 11 pm to let your outrage against CCSS Machine be felt in D.C.! Anti CCSS Warriors! Time is our friend today. We’ve still got some hours let to contact Congress before the Senate picks up where it left off on Thursday with the ‘Every Child Achieves Act’. We’ve known it’s a war, but the punches pulled this weekend to try to deter us from the pro CCSS side have been many. However, our powerful messages have also been seen, felt, and heard. With so much at stake, neither side is willing to back down. 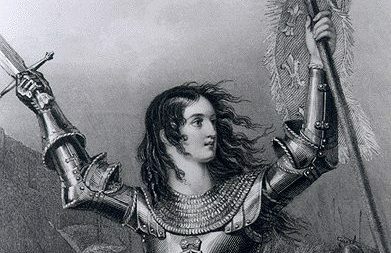 We must stand firm! The above screen shot is from a few days ago. Last night’s figures were well over 7,000 tweets strong to D.C. Congratulations, warriors! 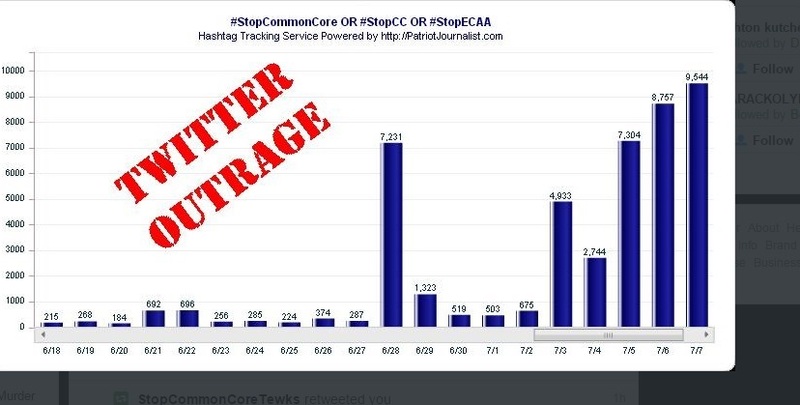 We have a fresh day today to make that number go even higher AND a Patriot Network Anti CCSS Rally tonight from 9 pm to 11 pm, Eastern Time. 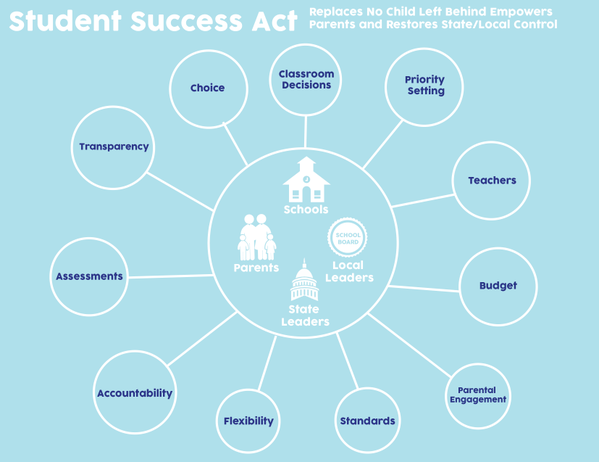 Rep. Mike Bishop shared the above and called it ‘one step closer to fixing NCLB’. Rep. Bishop is from Michigan. 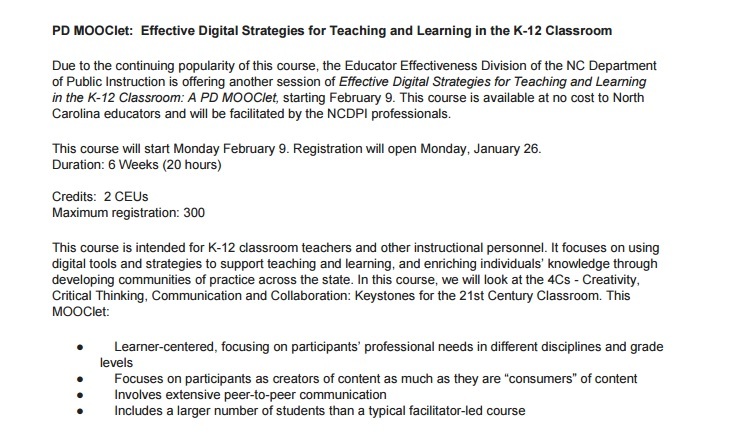 How, we, the anti CCSS Warriors can use this? As a visual, show how inaccurate this is! As a verbal or written message? Think about how if House members are calling HR5 ‘one step closer’, know the Senate’s mindset is the same. Knowing that you can express how Every Child Achieves is, in fact, not one step closer to fixing anything in education! A ‘stain’?! Is is kidding any of us? How, we, the Anti CCSS Warriors can use this one, is simply this. Use all the facts we have to show where the inequalities of a CCSS education are! 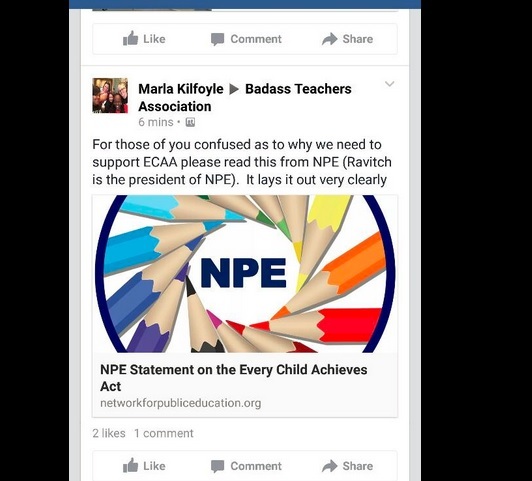 NPE has come out in support of ECAA. 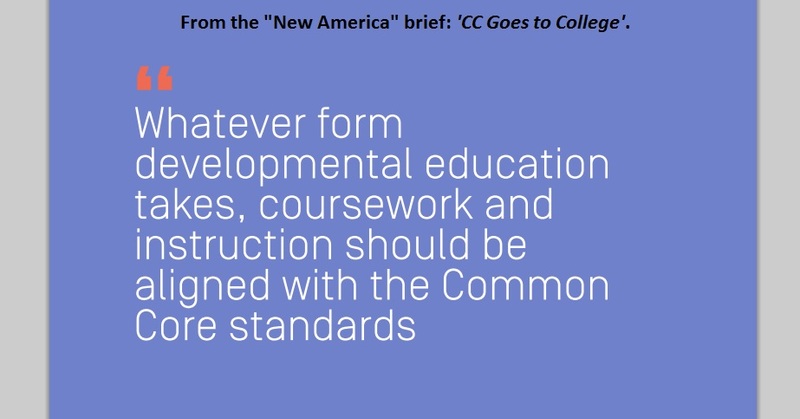 How, we, the Anti CCSS warrior can use this to ‘fire ire to D.C.’ over the ECAA? Well, for starters, know that there’s more to the story. Back in May 2015, I published an article that surrounded Sen. Tester’s amendment about assessments and how NPE was backing it. This is important NOW, so take a few minutes are read it. I want to you to connect the dots on your own. a) Anita Hoge’s documentation tying Sen. Alexander and Ms. Ravitch, NPE’s co-founder. 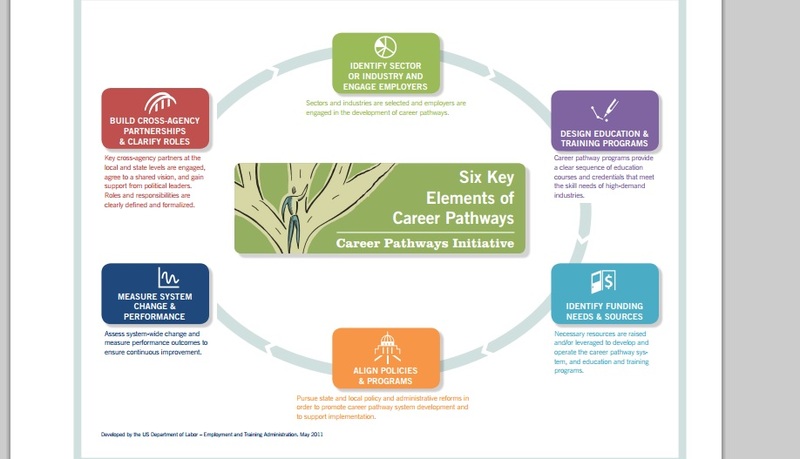 “Ensuring all students have access to high-quality CTE programs in high schools and post-secondary institutions o building a strong system of CTE around the country, which should begin early in a student’s education with career awareness and broad knowledge and then build pathways to more specific career-readiness skills through connections among secondary and postsecondary education and the labor market. I’ve shared all the above, so that we can see just how deceptive the pro CCSS side has been. If we are resisting Common Core and its Machine, we MUST know exactly where those who are supporting it stand. We’ve known they will stoop to all levels of deceiving us. However, we must press on. We have the truth! We must protect our students, teachers, and families! Our purpose this weekend is clear: influence the Senate with as MUCH truth about the illegally based CC Standards; the inappropriate education continued in ECAA and all related bills; and how, we, the citizens will NOT STAND FOR THIS!